Whether for your significant other or your sister, aunt or grandmother, this delightful floral gift is a sweet way to say "I love you." Sweet price, too. 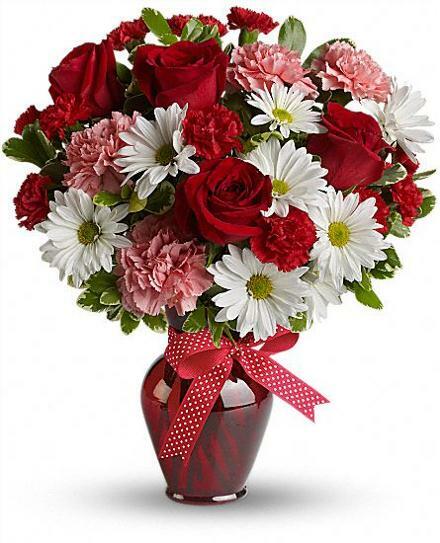 Value priced flower arrangement below $60.00 - Hugs and Kisses Bouquet T11Z100.